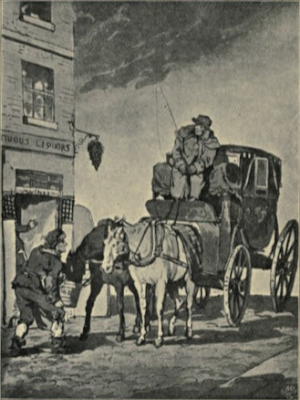 One of the first posts I've written for this blog was about words commonly used in the Regency era that have now been forgotten, but can still appear in old books and classics, confounding modern readers. I thought I'd be nice to continue this series, so here are 10 more words typical of the Regency period, enjoy! Batman: an orderly assigned to a military officer. Cry rope on someone: give them away, tell secrets. Drive unicorn: to drive a vehicle with three horses, one in front and the other 2 behind. Jarvey: driver of a hackney coach. Lush some slop: to drink some tea. Nonpareil: a leader of fashion. Also called nonesuch. Pinkest of the Pinks: a very fashionable man. 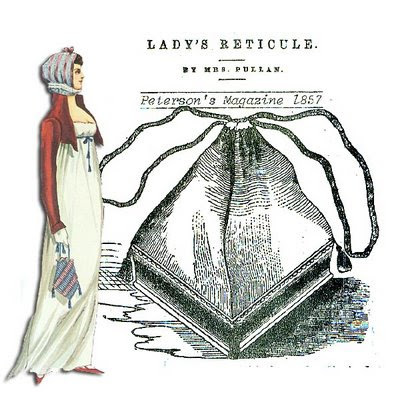 Reticule: a woman's handbag closed with a draw string. Town Tabby: an aristocratic dowager. Do you know any more Regency words? If so, let me know in the comments!